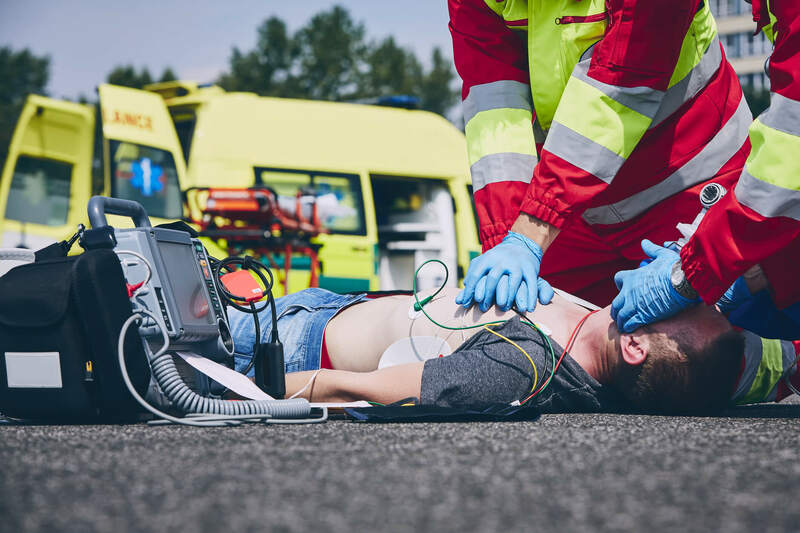 Prehospital and emergency airway decontamination and oral suctioning significantly decrease the risk of your patient developing aspiration pneumonia, a potentially life-threatening condition often associated with emergency resuscitation efforts. 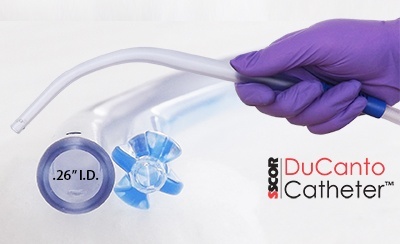 Let’s explore how you can better recognize the risk of pulmonary aspiration in your patients and discuss how oral suctioning is used to help prevent this deadly complication from occurring. Aspiration can occur at any age, but older adults are at an increased risk for aspiration and usually have the worst outcomes related to aspiration. Does this mean that all dysphagic patients develop pneumonia? Aspiration, in and of itself, does not necessarily lead to pneumonia. Pneumonia from aspiration is the result of a very large amount of bacteria entering the lower respiratory system, where the bacteria overwhelms a patient’s weakened immune system protection. The nature of the aspirate makes a difference. 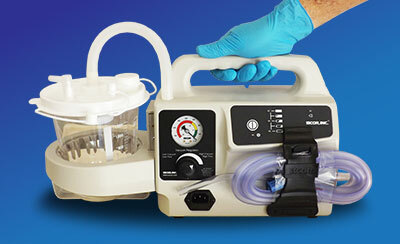 The majority of aspiration-related deaths occur because of inhalation of contaminants such as vomit, blood, and other materials. 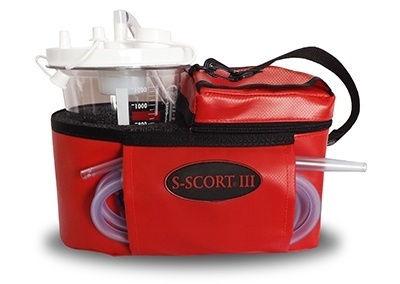 Mortality is related to the volume and content of the aspirate and is reported to be as high as 70 percent. It makes sense that preventing ingestion of these contaminants should be your priority when caring for the patients you have identified as high-risk for aspiration. The vast majority of patients develop aspiration pneumonia when they are of advanced age and significantly ill or injured (think CVA, surgery, heart attack, intubation, and so on). Any severe illness or injury causes a systemic stress response in the patient, which impairs the patient’s immune system and decreases its ability to fight off bacteria. The stress response is also responsible for decreasing or stopping saliva and oral mucous secretion in the oral cavity. Saliva and mucous fight bacteria through their immune properties—decreasing their oral function allows normal bacterial flora in the oral cavity to multiply. Combine a decreased immunity with the patient’s impaired swallowing caused by illness or injury, along with an increase in bacterial load, and pneumonia occurs. 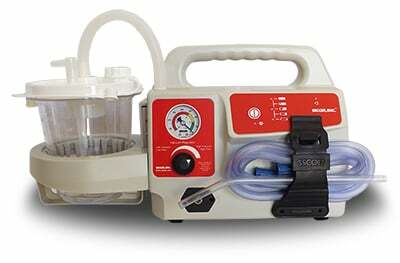 If increased bacterial load and contaminants in the airway are major contributing factors to the development of aspiration pneumonia, it makes sense that portable suction is a critical tool in avoiding aspiration pneumonia. 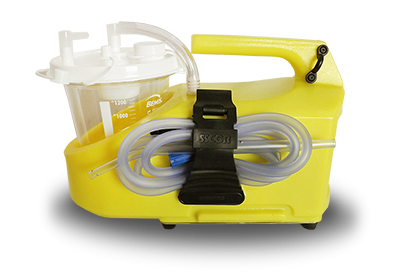 Prompt and efficient oral suctioning reduces the patient’s exposure to contaminants and decreases the risk of hypoxia, among other complications. As in other procedures, techniques and tools matter when it comes to effective oral suctioning. 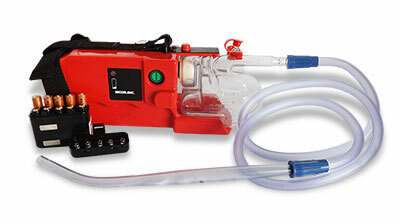 An innovative oral suctioning technique developed by Dr. James DuCanto, the SALAD (Suction-Assisted Laryngoscopy and Airway Decontamination) technique, calls for constant suction provided by a catheter in the upper airway. 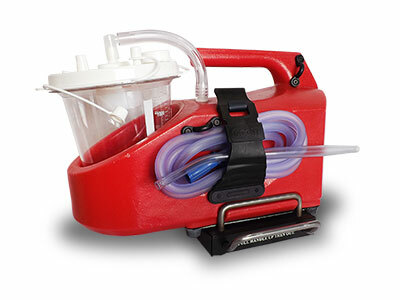 This continuously removes airway contaminants such as blood, vomit, and other materials, allowing you to intubate your patient and secure the airway. The important message here is that aspiration pneumonia is a preventable complication. 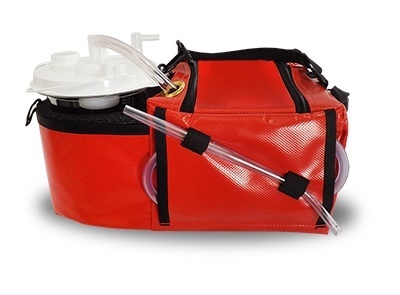 With aspiration pneumonia occurring in up to 50 percent of out-of-hospital cardiac arrest resuscitations, your priority as a prehospital and emergency provider is to use the best EMS equipment and techniques to prevent this complication from occurring in your patient.